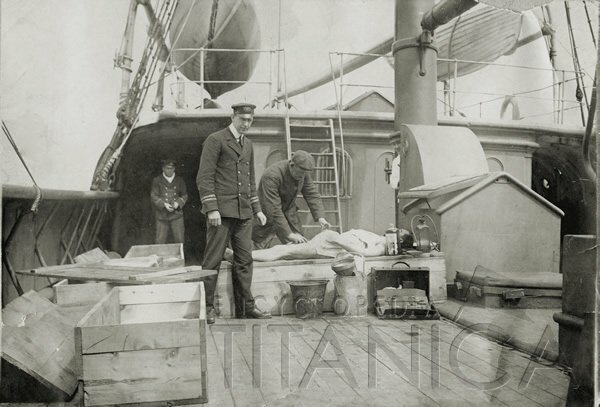 An unidentified victim of the Titanic disaster is shown being embalmed on the deck of the cable ship Mackay Bennett. 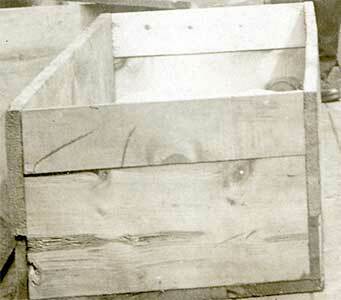 The Mackay Bennett was chartered by the White Star line and departed from Halifax loaded with coffins. She searched the area surrounding the site of the disaster and recovered more than 300 bodies. 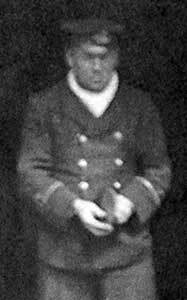 Those that were in satisfactory condition and, arguably, those of the higher classes, were placed in coffins and returned to Halifax . The remainder were sewn into body bags and buried at sea. 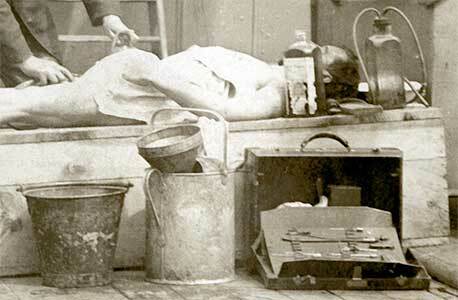 Buckets, funnels and the surgical tools of the undertaker's trade stand by the body.